Anxiety is characterized by an inner feeling of turmoil or tension in response to stressors which may be internal or external in nature. These stressors may be real or sometimes involve unrealistic worries. In addition to psychological distress, anxiety is often accompanied by physical symptoms such as perspiration, sweaty palms, feelings of tightness in the chest, dizziness, shortness of breath and even the sensation of having a heart attack. If anxiety is severe one may even have the psychological feeling of impending doom. Minimal anxiety is a normal part of the human experience and can even help improve performance in some circumstances. While we all experience some anxiety from time to time, anxiety which is frequent or disabling is problematic and can be lessened with treatment. Somatic symptoms resembling a heart attack,or any difficulty with breathing, should certainly be evaluated first by medical personnel, in an urgent manner, to assess for any cardiac or other medical conditions which may be present. 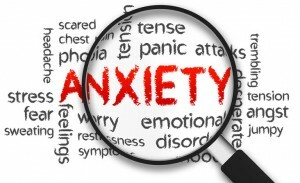 Anxiety can take several forms including generalized anxiety, separation anxiety, social anxiety, specific phobias, panic disorder and obsessive compulsive disorder. 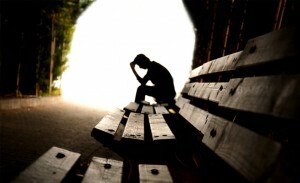 Anxiety often leads to individuals carrying out certain behaviors in an attempt to lessen their anxiety. When anxiety is severe, or if it interferes with daily functioning, it may be improved with treatment. Treatment modes include medication, relaxation techniques and cognitive behavioral strategies. Medication along with counseling has been shown to be the most effective form of treatment. Treatment is helpful when people find themselves avoiding certain places or activities to attempt to reduce feelings of anxiety. Rituals for dealing with anxiety can be very time consuming and may interfere with performing necessary tasks. If anxiety is interfering with your ability to function consider seeking help from a mental health professional. At Ridgewood Clinic we are able to provide evaluation, medication, and counseling to achieve a reduction in symptoms and improve the quality of your lifestyle.